In a paper on terroir, an elusive word coined by French wine growers and traders that means something along the lines of ‘sense of place’, Gergaud and Ginsburgh (2008) show that the differences between natural endowments – region, type of soil and its chemical composition, exposure of vineyards – in the Pauillac, Margaux, Saint-Estèphe, Saint-Julien, and Haut-Médoc regions have no effect on the quality of wines. Of course the taste of a Saint-Julien is different from that of a Pauillac (though most wine experts themselves can hardly guess which is which), but all regions are capable of producing excellent wines. In fact, Gergaud and Ginsburgh show that the differences in quality described by important wine experts (such as Michael Broadbent, Robert Parker, or Bettane and Desseauve) or by prices obtained at auction do not depend on natural endowments, but are the result of a well-understood choice of grapes that are adapted to soil qualities and weather conditions, as well as the age of the vine and the technologies used to produce the wine, manual operation such as picking and selecting grapes, de-stemming and crushing, and other production processes that follow the harvest. This was already the opinion of Johan Joseph Krug (1800-1866), a famous champagne producer, who pointed out that “a good wine comes from a good grape, good vats, a good cellar and a gentleman who is able to coordinate the various ingredients”. Vauban who was ‘Maréchal de France’ at the time of Louis XIV suggested that “a truth that can hardly be disputed is that there is no difference between the best terroir and a bad one as long as it is not cultivated”. Cross, Plantinga and Stavins (2011) reach a similar conclusion by analysing vineyard prices in Oregon, one of the best pinot noir-growing wine regions in the US. They show that there are no significant price differences between plots that experts pretend to be of a different terroir quality. Is all of this really new? No. The story started in 1976: Steven Spurrier, a well-known English wine trader and owner of the Caves de la Madeleine in Paris, and US-born Patricia Gallagher, from the French Académie du Vin, turned things upside-down by organising a blind tasting of four white Burgundies, four red Bordeaux  and 12 California wines (six whites and six reds) in Paris; the last were virtually unknown in Europe. The nine judges were judged to be extremely competent wine connoisseurs – sommeliers, producers of famous wines, a wine journalist, and owners of Michelin-starred restaurants. The tasting ended up ranking a California wine as winner, both for whites and reds. 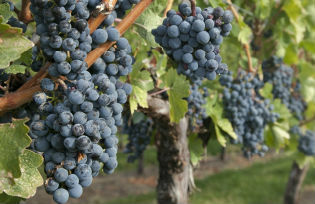 This resulted in boosting the reputation of California wines and the so-called ‘Judgment of Paris’  changed the traditional view shared by experts that only French wines could be of high quality. It led to increased competition between French and California wines, and quickly extended to discovering quality wines in many other countries and continents, including Australia, South America and South Africa. Some 36 years later, George Taber, the only journalist attending the Paris tasting, jointly organised with Orley Ashenfelter from Princeton University and Karl Storchmann from New York University the ‘Judgement of Princeton’ during the 6th International Conference of the American Association of Wine Economists in June 2012. The same French wines as the ones tasted in 1976 – though of more recent vintage – were compared to New Jersey wines (six wines in each flight), replacing the California wines of the ‘Judgement of Paris’ . This time, a French white wine, Clos des Mouches 2010, and a French red wine, Château Mouton-Rothschild 2004, were ranked first in each category. The important conclusion of the ranking, as analysed by Richard Quandt from Princeton, is that Clos des Mouches is statistically significantly better than the nine other whites, which are all judged of equal quality, while one New Jersey red wine is statistically worse than all other nine reds. None of the remaining wines, whether French or from New Jersey, is statistically different from the other. This implies that Château Mouton-Rothschild and Château Haut-Brion, two French superstars, cannot be distinguished from New Jersey reds, which cost only 5% of their French counterparts . But it may well be that the judges who contributed to the rankings are unable to judge, unless they can see the label of the wine. This is not much different from professional musicians who are unable to distinguish by listening between a violin built by Stradivari – which would cost up to $4 million – and a new US-made instrument worth a couple of thousand dollars (Fritz et al. 2012). As has often been shown, the neural representation of experienced pleasantness is determined by the knowledge of the price of a wine (Plassmann et al. 2007). That is, if we think a wine is expensive we perceive its quality as being superior, all other things being equal. This suggests that, on many occasions, quality is not an objective trait of a commodity, it rather seems to be what we want it to be. Gergaud, O and Ginsburgh, V (2008), “Endowments, production technologies and the quality of wines in Bordeaux. Does terroir matter?”, The Economic Journal 118, 142-157. Cross, R, Plantinga, A and Stavins, R (2011), “The value of terroir: hedonic estimation of vineyard sale prices”, Journal of Wine Economics 6(1), 1-14. George Taber (2005), Judgment of Paris. California vs. France, New York, Scribner. Ginsburgh, Victor (2012), “Why expect S&P, Moody’s, or Fitch to know it’s junk when expert musicians can’t tell a Stradivarius from a fiddle?”, VoxEU.org, 16 January. Fritz, C, Curtin, J, Poitevineau, J, Morrel-Samuels, P and Tao, F-C (2012), “Player preferences among new and old violins”, Proceedings of the National Academy of Science PNAS, 109(3), 760-763. Plassmann, H, O’Doherty, J, Shiv, B and Rangel, A (2007), “Marketing actions can modulate neural representations of experienced pleasantness”, Proceedings of the National Academy of Science PNAS, 105(3), 1050-1054. 1 Meursault Charmes Roulot 1973, Beaune Clos des Mouches Drouhin 1973, Puligny Montrachet Leflaive 1972 and Batard-Montrachet Ramonet-Prudhon 1973 for white wines, and Châteaux Haut-Brion 1970, Mouton-Rothschild 1970, Leoville Las Cases 1971 and Montrose 1970 for red wines. 2 See http://en.wikipedia.org/wiki/Judgment_of_Paris_(wine) for more details, as well as Taber (2005). 3 It may be worth mentioning that though this second judgment was organized by economists, it tried to stick as closely as possible to the 1976 Judgment of Paris, both in the choice of French wines, though from a more recent vintage, and in the choice of the nine members of the jury, all wine connoisseurs: three wine journalists, two restaurant owners, one wine producer and three economists, including Olivier Gergaud, from the Bordeaux School of Management BEM. 4 Ginsburgh, the only writer of this paper who contributed nothing to the Judgment of Princeton, wants nevertheless to point out that he did not even know that New Jersey produces wine. 5 For details, see Wikipedia at http://en.wikipedia.org/wiki/Judgment_of_Princeton and American Association of Wine Economists at http://www.wine-economics.org/about/tastings/the-judgment-of-princeton/. Both sources also refer to all the statistical results computed by Richard Quandt.